TWO TYPES of biochar , rice straw biochar (RSB) and.soybean straw biochar (SSB) at four rates (0, 4.20, 8.40 and 16.80 g kg-1) for each were used to evaluate their effects on the fertility of a new reclaimed sandy soil and on the growth of wheat. The results showed that incorporation of RSB and SSB caused significant enhancements in soil physical properties through decreasing bulk density and increasing porosity, water-holding capacity and volumetric water. Moreover, soil chemical properties, including pH, organic carbon, cation exchange capacity, electrical conductivity and nutrients availability were markedly affected by RSB and SSB additions, especially at their highest applied rates (16.80 g kg-1). The biochar type had an important impact on soil properties and the effect of SSB was more pronounced than RSB. Data also indicated that the use of RSB and SSB led to increase the growth of wheat plants, as presented by dry weights of their straw and grains. The highest effects of RSB and SSB on straw (3.05 and 3.73 g pot-1) and grains (2.72 and 3.25 g pot-1) of wheat were recorded at the addition of 16.80 g RSB or SSB kg-1, respectively. Concentrations of N, P and K were markedly increased in RSB and SSB treatments as compared with the control (no biochars addition). Both RSB and SSB had valuable influences on growth and nutrients content in wheat due to their efficient effects in improving physical and chemical properties of the used sandy soil. 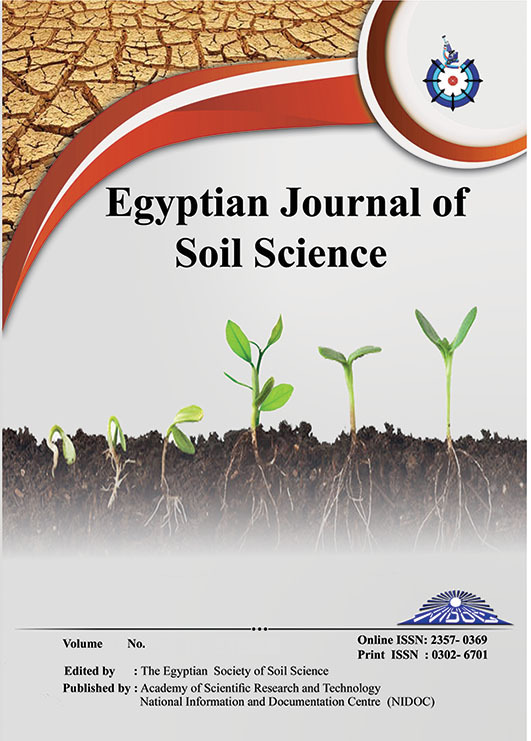 This study demonstrated that converting plant residues to biochars through the pyrolysis process could be recommended in the agricultural management of sandy soil and had an important role in enhancing their qualities and productivities.